Vid na Zlatoustovskii zavod. Vdali gora Taganai [graphic]. - . - 1 negative (3 frames): glass, b \u0026 w, three-tone separation; 24x9 . 1. 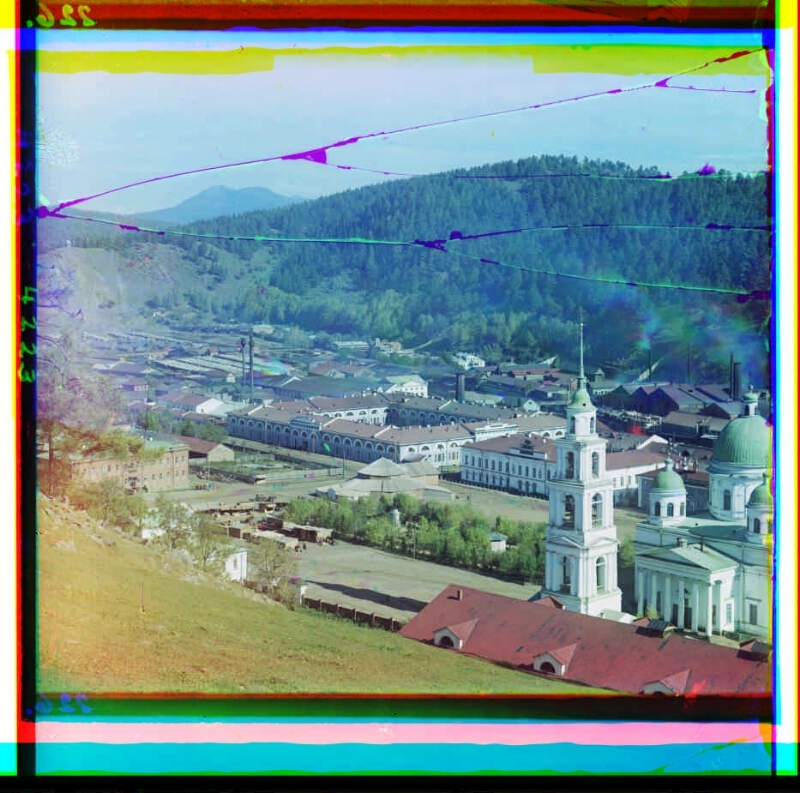 Zlatoust Metallurgical Plant - History - 1910 - Photographs. 2. Territory of Russia (collection). 3. Churches. 4. Hills. 5. Factories. 6. Cityscape photographs. 7. Color of negatives. 8. Glass negatives. 9. Photos are documentary.